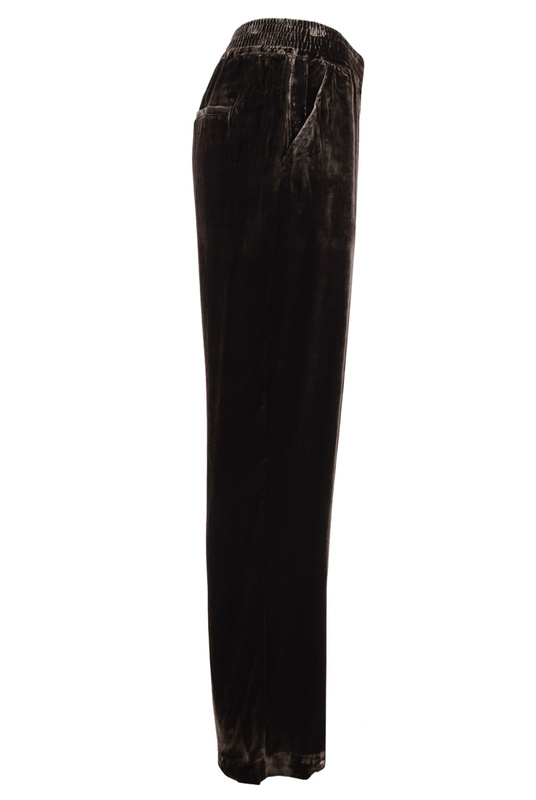 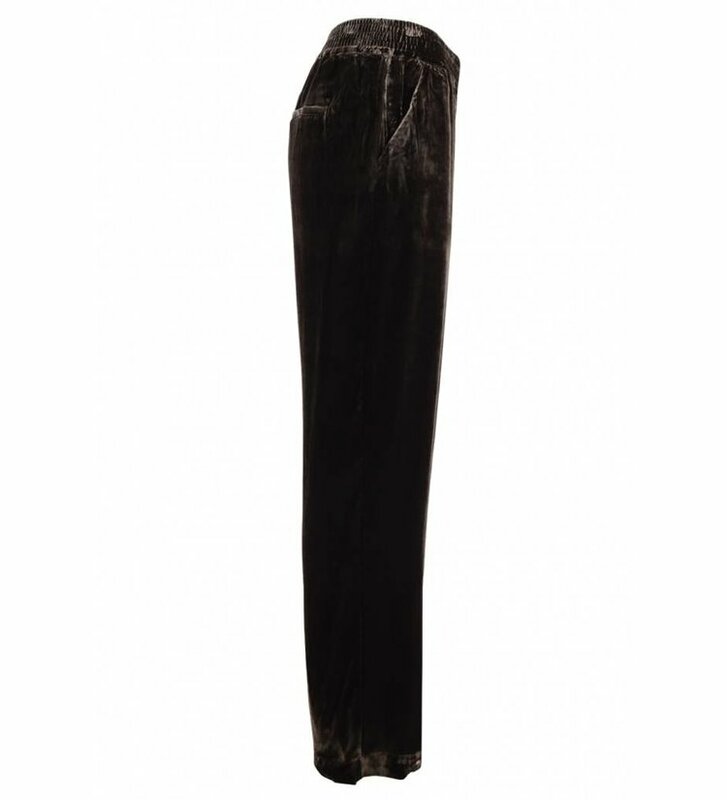 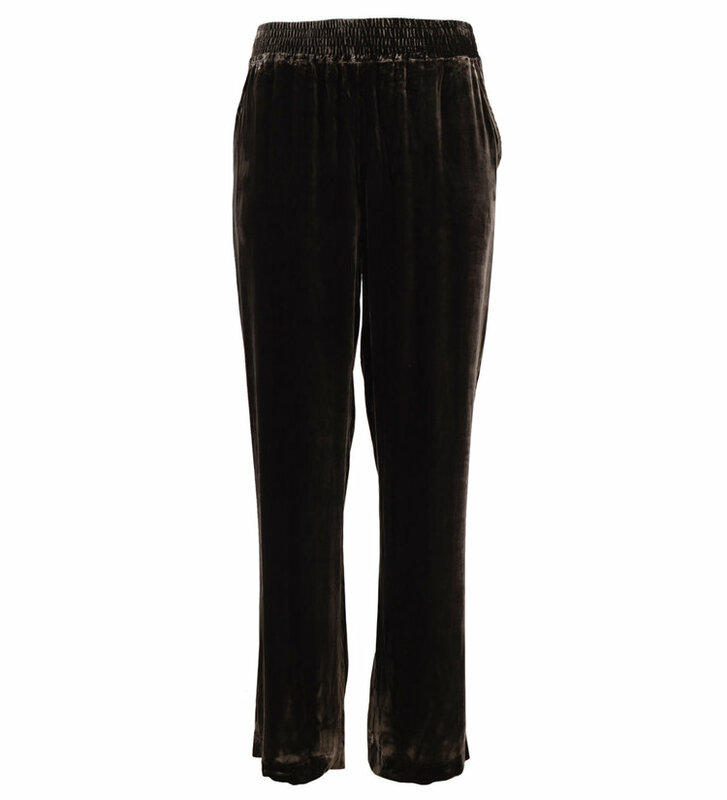 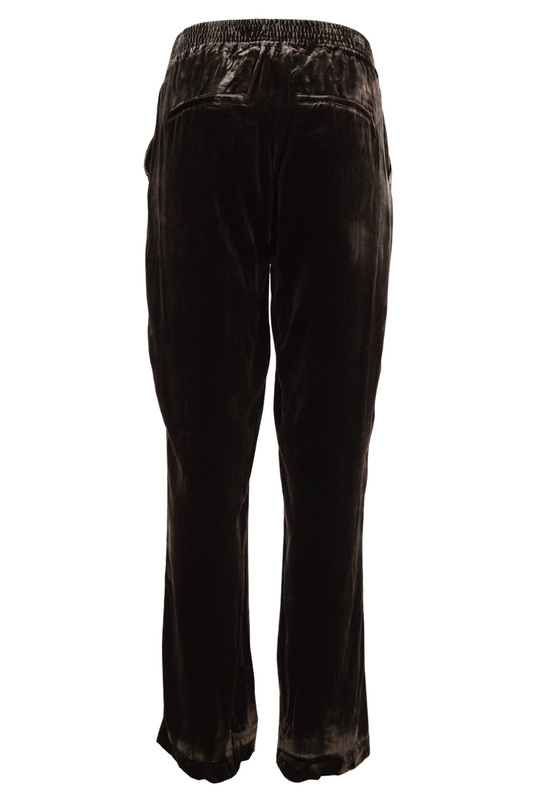 Flowing velvet trousers from Second Female. 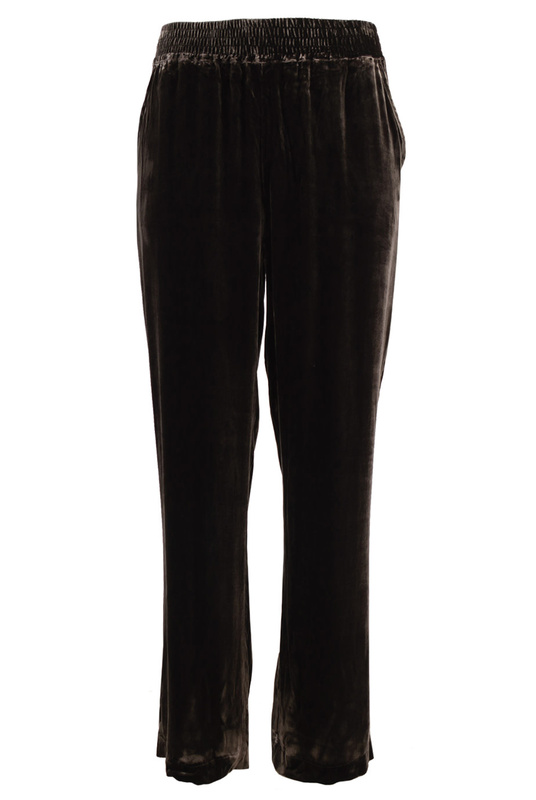 The Mio Trousers in After Dark (brown/grey) have an elasticized waistband, slit pockets in front and suggestive slit pockets at the back. 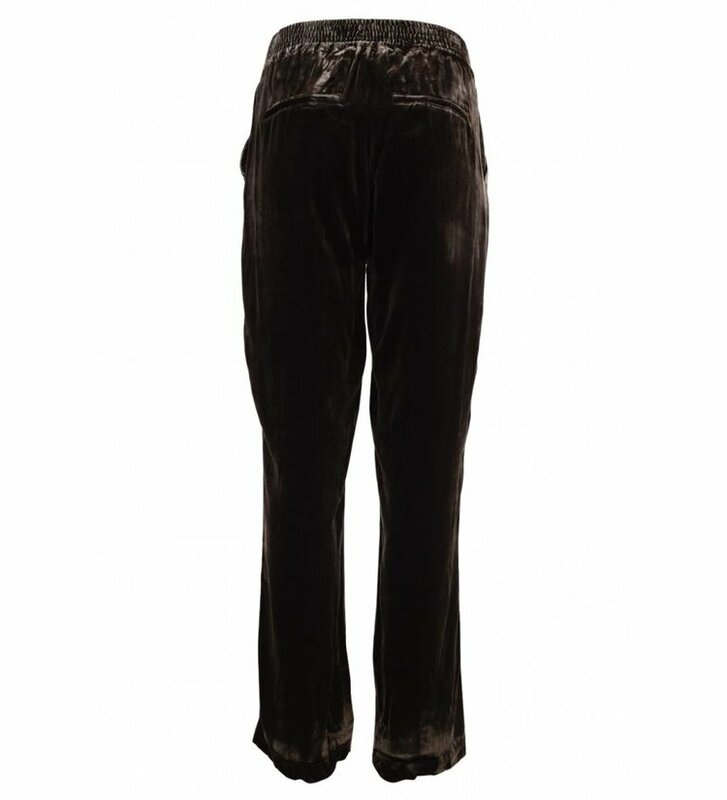 The trousers have fashionable appeal.